First HPE Superdome Flex enables research team to analyze massive data sets to understand the origins of space and time. New videos available of Stephen Hawking and the CTC team. Hewlett Packard Enterprise and the Faculty of Mathematics at the University of Cambridge have announced a collaboration to accelerate new discoveries in the mathematical sciences. This includes partnering with Stephen Hawking's Center for Theoretical Cosmology (COSMOS) to understand the origins and structure of the universe. Leveraging the HPE Superdome Flex in-memory computing platform, the COSMOS group will search for clues hiding in massive data sets—spanning 14 billion years of information—that could unlock the secrets of the early universe and black holes. Watch this video of Stephen Hawking and the CTC team discuss their work on cosmology and gravitational waves and the need for supercomputers to confront theory with the latest observations. “Our COSMOS group is working to understand how space and time work, from before the first trillion trillionth of a second after the Big Bang up to today,” said Professor Stephen Hawking, the Avery-Tsui Wong Director of Research in Cambridge. “The recent discovery of gravitational waves offers amazing insights about black holes and the whole Universe. With exciting new data like this, we need flexible and powerful computer systems to keep ahead so we can test our theories and explore new concepts in fundamental physics." 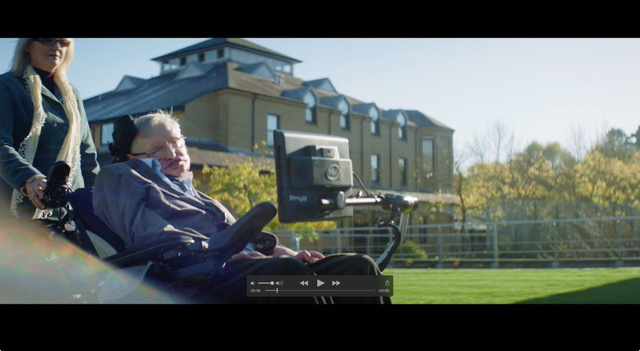 Watch Stephen Hawking discuss the mission of the Centre for Theoretical Cosmology and the new partnership with HPE. In 1997, a consortium of leading U.K. cosmologists brought together by Professor Hawking founded the COSMOS supercomputing facility to support research in cosmology, astrophysics and particle physics using shared in-memory computing. Access to new data sets transformed cosmology from speculative theory to quantitative science. The latest supercomputer supporting the work of the faculty combines an HPE Superdome Flex (the new CosmosX) tightly coupled with an HPE Apollo supercomputer and Intel Xeon Phi systems (named after Philippa Fawcett). This will enable COSMOS to confront cosmological theory with data from the known universe—and incorporate data from new sources, such as gravitational waves, the cosmic microwave background, and the distribution of stars and galaxies. The powerful computational power helps them search for tiny signatures in huge data sets that could unlock the secrets of the universe. Prominent observational programmes which the new system will exploit include the ESA Planck Satellite, the LIGO gravitational waves experiment and the Simons Observatory. HPE Superdome Flex leverages the principles of Memory-Driven Computing, the architecture central to HPE’s vision for the future of computing, featuring a pool of memory accessed by compute resources over a high-speed data interconnect. The shared memory and single system design of HPE Superdome Flex enables researchers to solve complex, data-intensive problems holistically and reduces the burden on code developers, enabling users to find answers more quickly. The supercomputer and its in-memory platform will support not only the COSMOS work but research in a diverse range of fields across the Faculty of Mathematics, from environmental sciences to medical imaging. The importance of access to computational tools—and the ability to optimize them using local expertise—has been recognized in research projects related to the formation of extra-solar planetary systems, statistical linguistics and brain injuries.